Our society is running headlong into insanity’s nonjudgemental arms. 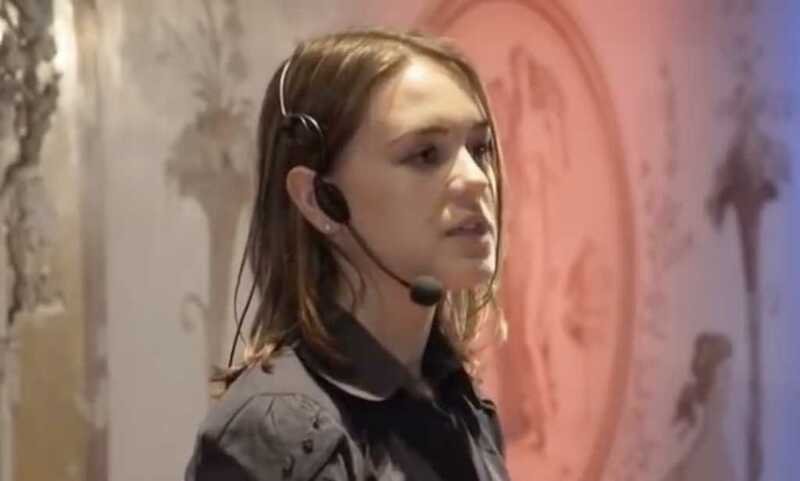 With a heavy dose of follow-your-heart philosophy, medical student Mirjam Heine delivered a stunning TEDx talk at the University of Würtzberg in May. She explained that pedophilia is, in her view, a “natural” sexual orientation not unlike heterosexuality. Heine went on to explain that, though pedophilia is “natural,” it should not be conflated with child sexual abuse — an odd claim for one to make, assuming she understands that, followed to its logical end, pedophilia will ultimately result in a sexual relationship between an adult and a child who cannot consent. The TEDx speaker then placed the blame for those who do live out their attractions squarely on a society unwilling to accept their deviant inclinations, as if merely feeling them legitimizes their place in an established culture. But Heine’s argument is only half-baked. How can one argue something is entirely “natural” and worthy of acceptance, but stop short of claiming such interactions are admissible? Furthermore, the embrace of pedophilic feelings denies those who experience them the opportunity to seek the psychiatric treatment needed to manage or reverse its effects. Alas, this is just another step to the beat of the morally relativistic drum drowning out the remnants of absolute truth in our hell-bent society. Sweeping moral changes not unlike this often start with just a little notch until eventually there’s a cavernous hole where our moral structures once stood tall. The problem with Heine’s arguments and those like it is a blatant unwillingness to accept — or even entertain — the depravity of humanity. We are born into sin, so our inclinations do often feel “natural,” but that doesn’t make them right. Cancer is, in a sense, “natural.” But everyone readily accepts it’s a grotesque distortion of life, and researchers and doctors are rightly working around the clock to eradicate it and reverse its effects. Acceptance of pedophilic feelings as “natural,” and therefore acceptable, boils down to arrogance. As a society, we are appalled by the idea that our own feelings, experiences, and thoughts might not lead to the greatest moral good. Our feelings alone are never a good moral compass. Left unchecked, they recklessly lead us toward insanity.